Tomorrow, October 11, is the 29th annual National Coming Out Day (NCOD) which celebrates people of lesbian, gay, bisexual, transgender and queer (LGBTQ) identities feeling empowered to make their true selves known – to their families, friends and coworkers and in their broader communities. In 1994, October was designated as LGBTQ History Month with NCOD as its anchor date. In the spirit of this month and Coming Out Day, the Center for Consumer Engagement in Health Innovation is pleased to share a new video titled “The Main Thing: Respect,” produced collaboratively with our partners at SAGE, the nation’s largest and oldest organization serving lesbian, gay, bisexual and transgender elders. This video illuminates the importance of person-centered, culturally competent care for LGBTQ older adults in all settings where they receive medical care and other health-related services. 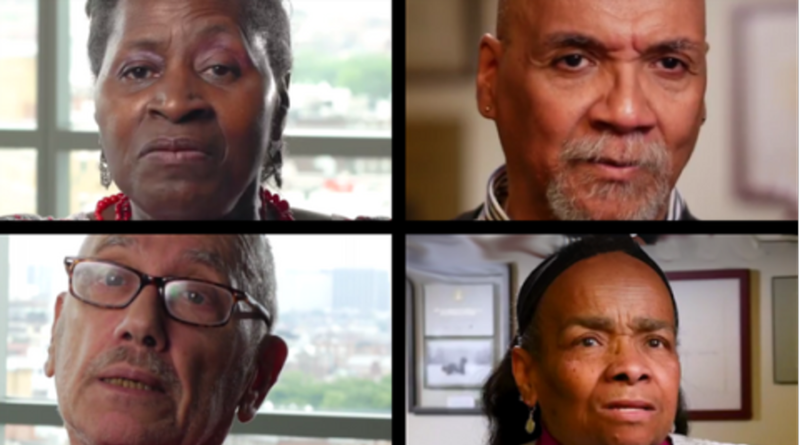 The four older adults featured in the video share, in poignant ways, how important it is for their providers to create an atmosphere of trust, open communication and mutual respect. Those with lived history remind and teach us much about how far we’ve come, but also how much farther there is yet to go. Many LGBTQ older adults have experienced over the decades persistent distrust, stigma, discrimination and outright hostility in many everyday interactions, including when they needed to seek out medical care or other health services. And while great progress has been made on this front, we know that today many LGBTQ people, transgender people in particular, are still subjected to some of the most painful discrimination when accessing health care. This includes, but is not limited to, when people seek medical services related to gender reassignment. While this video offers insights around issues unique to LGBTQ older adults and highlights the excellent training SAGE conducts for providers, the theme of culturally competent care is universal. Delivering culturally competent care – whether it is related to a person’s race, ethnicity, cultural background, sexual orientation, language or literacy – is an important step toward furthering health equity. This is one of the Center’s core values which we strive to promote in all of our work. As Lisa Krinsky of Fenway Health in Boston, explains in the video, “One of the things that we hear over and over again from providers is, ‘Well, it doesn’t matter to me. I’m not going to do anything different.’ But what we hear from older adults is it means the world to them to be known.” And, it means the world to their health. We invite you to watch the video and share your thoughts at #NCOD.